Blog – Where Kentucky's Greatest Pro Football Players Live!!! Former University of Kentucky coach Blanton Collier was among five new inductees named Friday to the Kentucky Pro Football Hall of Fame. The 2016 class also includes former Kentucky State defensive end Council Rudolph, former UK tackle Warren Bryant, former Eastern Kentucky safety Myron Guyton and former Louisville safety Ray Buchanan. Induction weekend will take place in Lexington, with a ring ceremony June 23 at the Keeneland Sales Pavilion, and a golf fundraiser at a location to be determined and the induction ceremony at the Lexington Opera House on June 24. Also during the induction ceremony, former UK player and U of L coach Howard Schnellenberger will receive the 10th annual Blanton Collier Award for Integrity. Proceeds from the 2016 Kentucky Pro Football Hall of Fame induction ceremony and golf outing will support the Salvation Army Boys & Girls Club of the Bluegrass. Collier, from Millersburg, Paris High School and Georgetown College, coached UK from 1954-61 and is the last Wildcats coach to post a winning career record (41-36-3) at Kentucky. He went on to coach the Cleveland Browns. He died in 1983. Rudolph, from Anniston, Ala., played in the NFL for the Houston Oilers, St. Louis Cardinals and Tampa Bay Buccaneers in the 1970s. Bryant, who played at UK from 1973-76, went on to an NFL career that included stops with the Atlanta Falcons and Los Angeles Raiders. Guyton, from Metcalf, Ga., played for the New York Giants and New England Patriots in the 1990s. Buchanan, from Chicago, played for the Colts, Falcons and Raiders in a career that ended in 2004. WEST PALM BEACH, Fla. — Howard Schnellenberger has an autobiography coming out Sept. 1 titled Passing the Torch. The only greater wish I could imagine would be an audiobook with the coach himself booming out every word. This guy has more epic tales to tell than Mark Twain, and almost as many unforgettable characters to introduce on the river of his life. y from 1952 to 1955 and was a UK assistant coach in 1959-60. 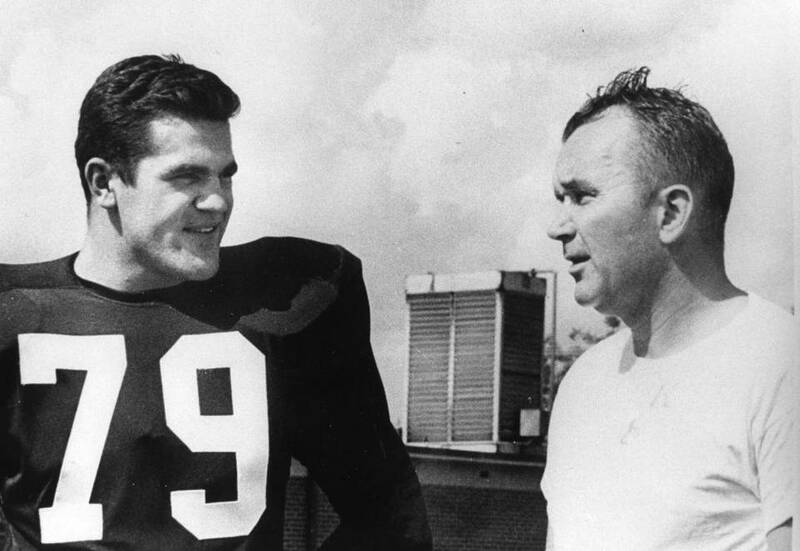 He played and worked for Bear Bryant. He recruited Joe Namath to Alabama, at one point writing bad checks to transport the star prospect to Tuscaloosa before somebody else could snap him up. 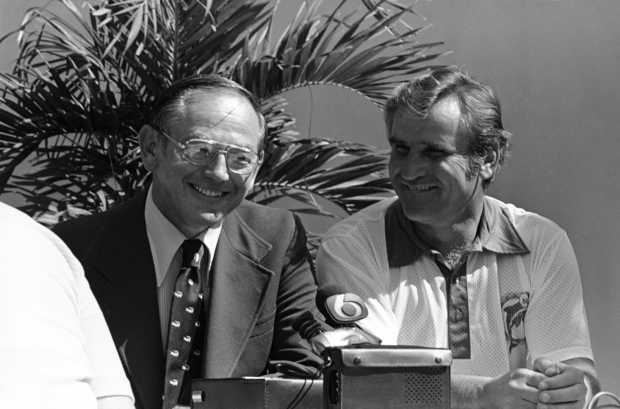 Schnellenberger was the offensive coordinator for Don Shula’s perfect 1972 Dolphins, too, and the visionary who started the University of Miami’s national championship tradition. Add it all up, with the resurrection of Louisville’s program and the birthing of Florida Atlantic’s thrown in, and there’s only one big-time minus. Schnellenberger, 80, keeps getting passed over for induction in the College Football Hall of Fame. There’s no real logic to that, but there is a technical reason. There’s a way to bypass this problem. The Hall of Fame has a special committee that examines “unique cases.” If anyone in college coaching qualifies more than Schnellenberger, or has been more famous, for that matter, at the peak of his powers, it must be a very short list. Two coaches made the grade when the 2014 induction class was announced May 22 — Oregon’s Mike Bellotti and Appalachian State’s Jerry Moore. The former won a couple of Pacific-10 championships in 14 years of major-college coaching. The latter won three consecutive national titles with a powerhouse small-school program but never had a winning record in five seasons at Texas Tech. Successful coaches, sure, but hardly on a scale beyond Schnellenberger’s reach. 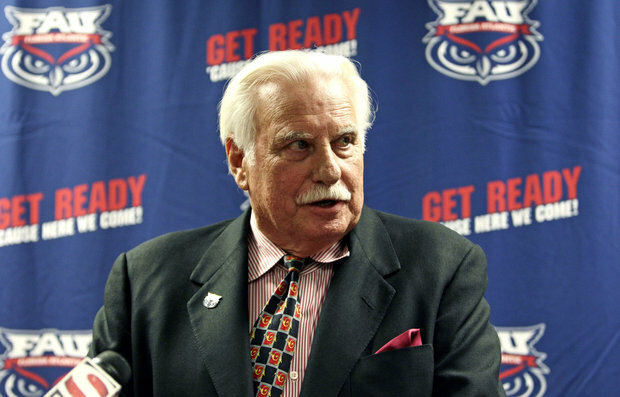 Schnellenberger, a former NFL head coach at Baltimore, didn’t drop down to that small-college level until he was 67, and that was to inaugurate the program at Florida Atlantic. Even then, he had the Owls up to FBS status by their fifth season. The easy way just never had much of an appeal. That’s really the point here. Schnellenberger shouldn’t be punished by the Hall’s eligibility criteria for taking on the worst jobs and transforming them into something grand. Miami football had lagged so badly before Schnellenberger’s arrival that not even a visit by Notre Dame could guarantee 25,000 fans at the Orange Bowl in 1975. Louisville, likewise, was an overlooked independent until Schnellenberger arrived to push the Cardinals to a Fiesta Bowl rout of Alabama. This fall Louisville begins play in the ACC, operating from a football complex that bear Schnellenberger’s name. Look to the Bear for Schnellenberger’s inspiration in all things. The Wildcats had not won more than six games in a season since 1912 at that point, but Bryant got them to 7-3 in his first season. From 1949-51, Kentucky played in the Orange Bowl, the Sugar Bowl and the Cotton Bowl. The program hasn’t been to a major bowl since. Texas A&M got a similar boost from the Bear, and next came Alabama, which was 4-24-2 in the three seasons before Bryant’s hiring, with a 17-game losing streak included in that skid. Three seasons into the Bryant era, the Crimson Tide was 11-0 and celebrating a national championship. Schnellenberger showed the same boldness in signing up for ugly assignments, and the similar belief that he could turn any situation around. Other than stubbing his toe during one 5-5-1 season at Oklahoma, it worked. Not on the scale of Bryant’s success, of course, but it worked. If the Hall of Fame can’t see the value in that, then the people who run that show are outsmarting themselves. 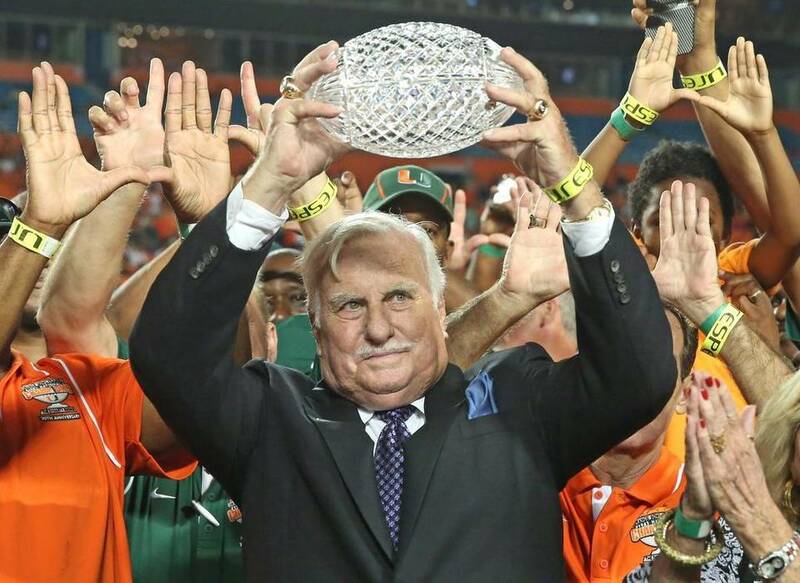 That’s a shame for Schnellenberger, who belongs on any list of men who have made college football shine. Congrats to Kentucky Pro Football Hall of Fame member Tom Jackson, who is the 2015 Pete Rozelle Radio-Television Award winner as selected by the Pro Football Hall of Fame. 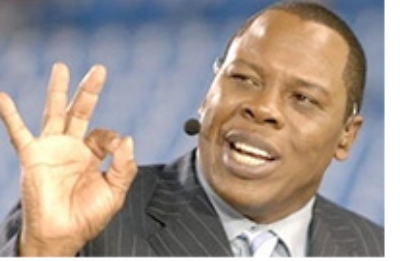 Tom was hired as an ESPN studio analyst in 1987 and has excelled ever since that time. He was a Pro Bowl linebacker during his years with the Denver Broncos (1973-86) before moving into the ESPN role. Tom will be honored during Hall of Fame ceremonies next month. 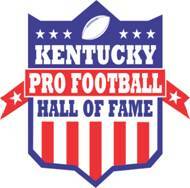 The Kentucky Pro Football Hall of fame has been going strong for 13 years now. The Class of 2015 included former UK and current NFL Tight End Jacob Tamme, along with former UofL Linebacker, the late Doug Buffone, the late Murray State defensive lineman Gil Mains former and EKU defensive end/linebacker Aaron Jones. Aaron Jones, the Steelers No. 1 draft pick in 1988, is being inducted into the Kentucky Pro Football Hall of Fame. Former Steelers defensive end Aaron Jones is among those being inducted into the Kentucky Pro Football Hall of Fame on Friday, June 26, in Louisville as a part of the Class of 2015. Jones played collegiately at Eastern Kentucky, where he was a Division I-AA first-team All-America selection in 1987 and the Ohio Valley Defensive Player of the Year. He also earned All-Ohio Valley Conference honors in 1985 and 1987. Jones was inducted into the Eastern Kentucky Hall of Fame in 2007. Jones, the Steelers No. 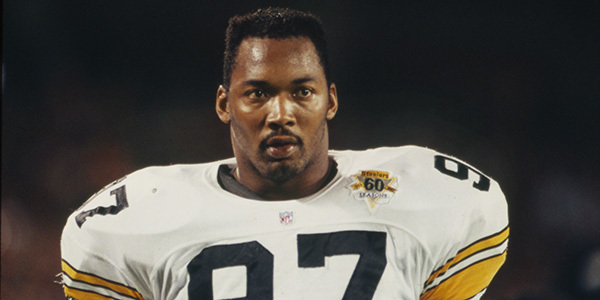 1 draft pick in 1988, spent four of his nine seasons in the NFL with the black and gold, finishing with seven and a half sacks during his Steelers days. Proceeds from the induction ceremony and events surround it benefit the Kosair Children’s Hospital through the Children’s Hospital Foundation, mainly supporting the pediatric heart care and Brave hearts.